By Jim Dower: #9 WBC Andrzej Fonfara (28-4, 16 KOs) will be looking to rebound from his recent 1st round knockout loss to Joe Smith Jr. when he returns to the ring this Saturday night against former IBF/WBC light heavyweight champion Chad Dawson (34-4, 19 KOs) at the Barclays Center in Brooklyn, New York. They’ll be fighting on the undercard of the Danny Garcia vs. Keith Thurman card. The 29-year-old Fonfara’s career was looking great until recently when he destroyed by the hard hitting Smith Jr. on June 18 last year. It was a bitter pill for Fonfara to swallow, as the fight took place in front of his own fans at the UIC Pavilion in Chicago, Illinois. Fonfara made the mistake of fighting too aggressively against Smith and not respecting his punching power, which is devastating. When Smith Jr. landed his right hand flush on the jaw of Fonfara, he sent the Polish fighter down hard. Fonfara was a sitting duck when he got back to his feet, and Smith quickly finished him off with a series of power shots to the head. The defeat for Fonfara ended his 3-fight winning streak that he’d put together following a 12 round decision loss to WBA World light heavyweight champion Adonis Stevenson. Fonfara had done well in beating Nathan Cleverly, Julio Cesar Chavez Jr. and Doudou Ngumbu. Things were looking bright for Fonfara going into the Smith Jr. fight. Fonfara doesn’t need to be at his absolute best for him to beat the 34-year-old Dawson. Fonfara just needs to make sure that he doesn’t leave himself wide open like he did against Smith Jr. Dawson isn’t a big puncher like Smith Jr., but he still has enough power to get Fonfara’s attention if he lands cleanly. Dawson is about as much of a threat power-wise as Nathan Cleverly. Fonfara handled Cleverly’s power shots without any problems in beating him by a 12 round decision in October 2015. Fonfara is going to need to work his way upwards to get a second fight against Adonis Stevenson. 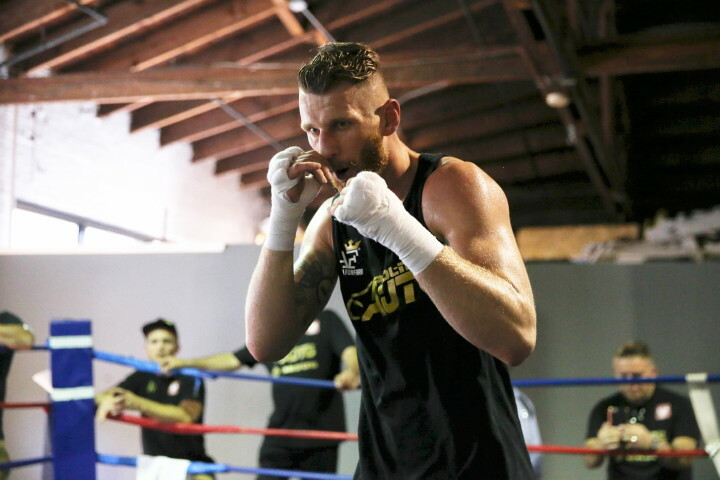 Fonfara has a long ways to go before he can earn a rematch with the 39-year-old champion. Stevenson doesn’t just title shots out unless he and his management feels comfortable about a particular fighter. Fonfara probably hits too hard for him to be given a title shot by Stevenson in a voluntary defense. If Fonfara has to work his way to the NO.1 in the World Boxing Council’s ranking, it could take him a couple of years at the minimum. A loss for Fonfara this Saturday would be disastrous to his career. Fonfara cannot afford anymore defeats if he wants to get ranked high enough to force a title shot against Stevenson. The light heavyweight division has new blood in it with the likes of Oleksandr Gvodzyk and Artur Beterbiev. Getting past those fighter is going to be difficult for Fonfara. « Gennady Golovkin should stop Ducking Canelo and Fight!